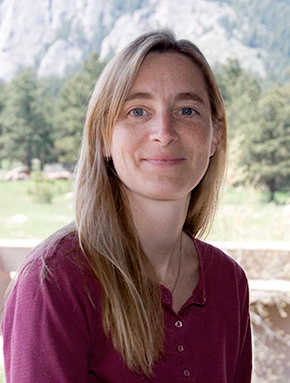 Dr. Marika M. Holland is a Scientist III in the Oceanography Section of the Climate and Global Dynamics Division of NCAR’s Earth System Laboratory. Her research interests are focused on the role of sea ice in the climate system, including secular sea ice change, ice-ocean-atmosphere interactions, abrupt high latitude climate change, and polar climate variability. Dr. Holland has contributed to sea ice model developments for the Community Climate System Model and new Community Earth System Model, including work that enables the quantification of the role of black carbon deposition on Arctic sea ice loss. Dr. Holland has served for 8 years as a co-chair for the Community Climate System Model Polar Climate Working Group, which is responsible for providing the sea ice model component of the coupled system model and for evaluating polar climate simulations of the model. Dr. Holland has also been an active member of numerous committees and advisory panels for the Arctic Research Consortium of the U.S. and the National Science Foundation, among others. She has been a contributing author on the Intergovernmental Panel on Climate Change third and fourth assessment reports and contributed to numerous other national and international assessments on the changing Arctic climate. Stroeve, J.C., V. Kattsov, A.P. Barrett, M.C. Serreze, T. Pavlova, M.M. Holland, and W.N. Meier 2012: Trends in Arctic sea ice etent from CMIP5, CMIP3, and observations. Geophys. Res. Lett. in press.